Is it a whimsical snowflake (yes) or a snowy day (again, yes!) It brings to mind the feeling of lying in the snow to make a snow angel and looking up into the sky to see huge snowflakes magically appearing and floating down! 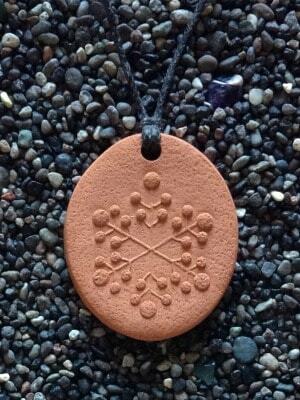 The Let it Snow Pendant measures 3.25 cm by 3.75 cm (1 ¼ by 1 ½ in).